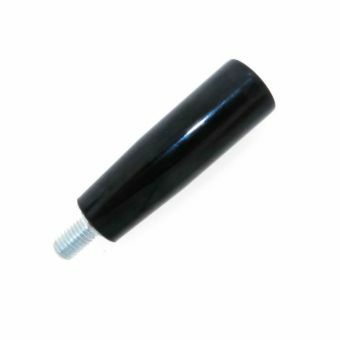 Request a quote for Phenolic Fixed (Non-Revolving) Handle today. JBF National phenolic fixed (non-revolving) handles are manufactured from the highest quality materials. They are designed and tested for ultimate reliability and durability. The handle is manufactured from Bakelite plastic and features a zinc plated steel spindle. Contact a JBF National sales engineer today for more information.